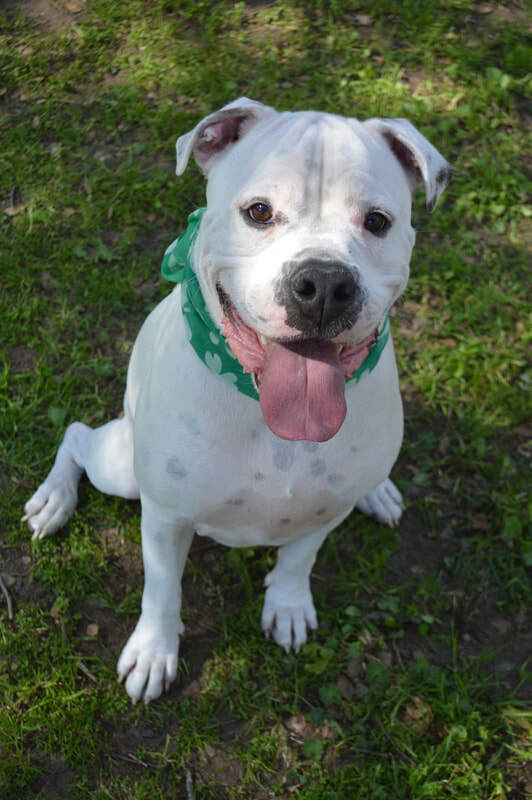 ​Thor is a 2 ½ year old American Bulldog or mix who came to us from a local shelter. He was found at a local shelter after being owner surrendered due to a lifestyle change. When we met Thor we fell in love and knew this boy deserved a shot at the good life. He is super sweet and so lovable and he’s just a happy boy. He loves everyone, no matter the age or size, people, dogs, cats, and he’s just the right amount of energy for a semi-active household. Thor is up-to-date on vaccinations, neutered, microchipped, and crate and house trained. Thor is Deaf so he is being trained with a vibrating collar to help him communicate and learn a variety of signs. He’s very smart and his Deafness does not slow him down in any way. He was born Deaf and has learned to live life by adapting. Thor can do anything a hearing dog can do, except hear! One of the huge benefits of this is he doesn’t bark a lot because he can’t hear any noises, lol! If you are looking for a quiet dog, Thor is your guy! Child appropriate? Thor loves kids of all ages but he can get pretty excited and sometimes nips at the heel when he’s overstimulated. He’s just overexcited and trying to play but this can scare small children. We think a home with kids 8 and over would be fine. Other dog appropriate? 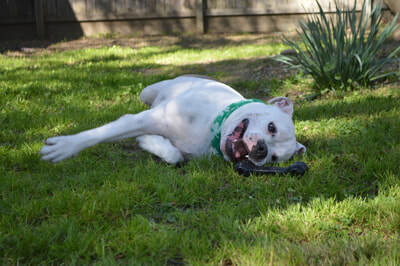 Thor loves the company of other dogs and has gotten along well with every dog he’s met. He isn’t the kind of dog who enjoys wrestling or rough housing so would prefer a dog who likes to hang out but not get too rough. He enjoys small and big dogs. His current foster brother is a small dog and he and Thor are best buds! Thor is polite and gentle with small dogs so any size would be a good fit. 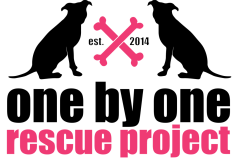 Because Thor is Deaf, we are requiring that he go to a home with another dog. Being paired with a hearing dog allows Thor to feel more comfortable as he can lean on the hearing dog to keep him aware of the goings on. He watches his foster brother and reacts whenever his brother hears something. Deaf dogs usually do better with a hearing do so we are firm on this rule. How is he with strangers? Thor is friendly and excited to see strangers. He seems to love everyone he meets and really enjoys making new friends. Does he like toys? Thor LOVES toys, especially his black Kong bone! It’s his favorite! He seems to prefer hard rubber toys to stuffies or rope toys. His Kong bones last him a couple months then he needs a new one! He will chew on his rubber toys for a long time and it’s clear it’s his pastime. He likes toys so much they make a better training tool then any treat. Does he like water? Thor loves the kiddie pool but has not been around large bodies of water. He will get in and lay down in the kiddie pool whenever it’s hot. Does he like car rides? Thor is great in the car. He is happy in the back seat, he lays down and enjoys the ride. Exercise level needed? Thor would enjoy twice daily walks to get out and explore the world. Giving him adequate exercise helps with his energy level but we would characterize him as moderate energy. He does fine with a couple walks and playing in the back yard and then is able to relax and play with his toys. Behavior issues? Thor doesn’t have any real behavior issues. He can get overexcited and jump even though he knows he’s not supposed to! He does nip at the heel when overstimulated but that is easily corrected by giving him a simple pat on the head. Medical issues? Thor is Deaf and has been since birth but this does not slow him down or cause him any issues. He is learning sign language to communicate. 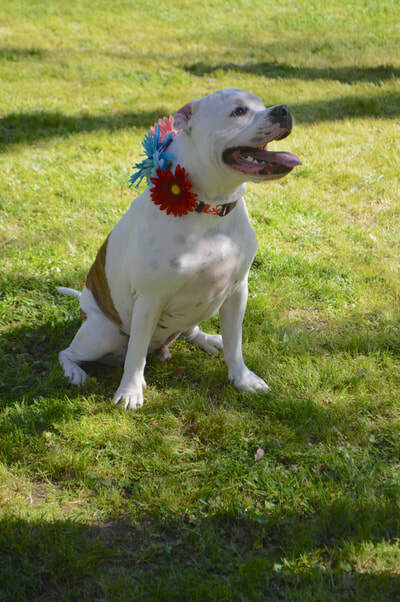 Thor had both the left and right ACLs repaired via TPLO surgery. He has a clean bill of health now and two very healthy legs. He has a cracked tooth but the vet has checked it and feels it should not be removed and is fine as it is. It just needs to be monitored over time. Skills? Thor is learning a lot of knew skills. He is learning to turn and look at his person when his collar is vibrated. We are teaching him this as a “watch me” which means to look at his person. Once he looks at his person, she can then sign to him giving him a command. The “watch me” takes the place of calling the dogs name, since Thor is Deaf, we cannot call his name. Once he looks at his person, he knows the command for “sit” and “down”. He is working on learning “no” and we are hoping to teach him “bed” where he will go to his crate. Deaf dogs are able to learn a variety of signs and Thor is very smart so with a dedicated person, he could learn a lot. Special/endearing things? Thor is so very sweet and loving. This guy has had a rough start to life, being in several different homes due to no fault of his own. Despite all the change, he has remained a wonderful dog. He loves people, dogs, cats, you name it! He is happy and enjoys life and really loves being with his person. Deaf dogs oftentimes like to follow their caregivers around and Thor is no exception. He loves being in the room with her and would love an adopter who works from home or partially from home. He’s good natured but he’s got a frisky side! When he doesn’t want to “listen” to a command, he will look away and not make eye contact! He knows if he doesn’t look, he can’t “hear” the command! He’s silly and playful and just an all around goofball! He cracks his foster mom up all the time with his antics! Ideal home? Thor loves being with his people, so a home that is looking for a dog to be part of the family is required. He has been displaced a few times in his young life and his next home must be his forever home so only adopters who are very serious about adopting him need apply. We do not want him returned and once again searching for his forever home. 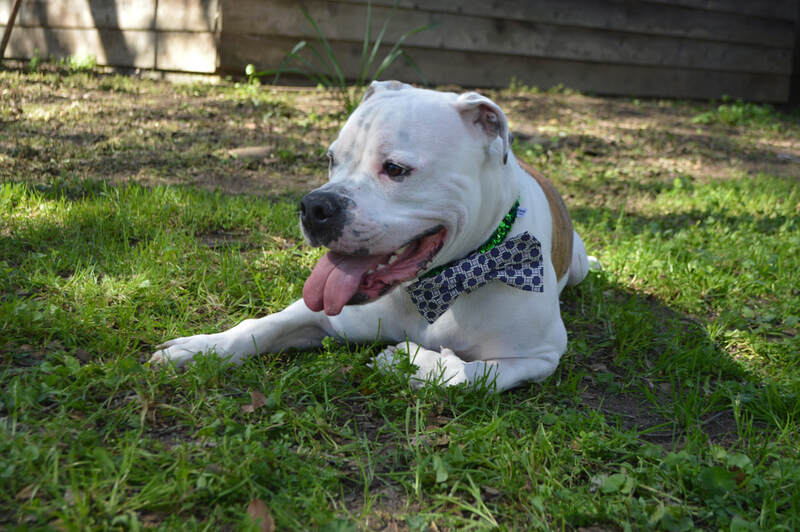 Thor is a bulldog and has many of the playful, headstrong bulldog traits; therefore, a home who will provide him with consistency and rules is best. He learns quickly and loves rewards of treats and attention and would enjoy a home who could continue his learning and help him learn more signs in order to communicate. He does have medium energy so a home where he could get daily walks and some play time in a fenced back yard is ideal. 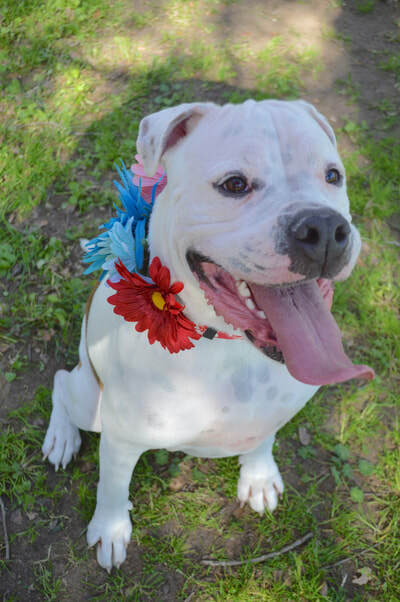 Because Thor is Deaf, his new home needs to understand he cannot be free roaming off leash so the family needs to be dedicated to looking after his safety. As stated above, his new home will have a doggie friend for him to help him feel at ease. Thor is an all around great pup!